Just days ahead of the start of the new DTM season, BMW Team Schnitzer driver Bruno Spengler (CA) already has his first race at the Hockenheimring (DE) under his belt – although it did come at the wheel of a somewhat alien car to the Canadian. BMW Motorsport invited the reigning DTM champion and 1989 winner Roberto Ravaglia (IT) to a very special “Generation Game”. Both drivers brought with them the cars with which they won their DTM titles. Spengler triumphed last season with the current BMW M3 DTM, while Ravaglia was crowned DTM Champion at the wheel of the BMW M3 in 1989. However, it was all change in Hockenheim. Ravaglia climbed into the driver’s seat of the BMW M3 DTM, which was adorned with the livery of the 1989 BMW M3. 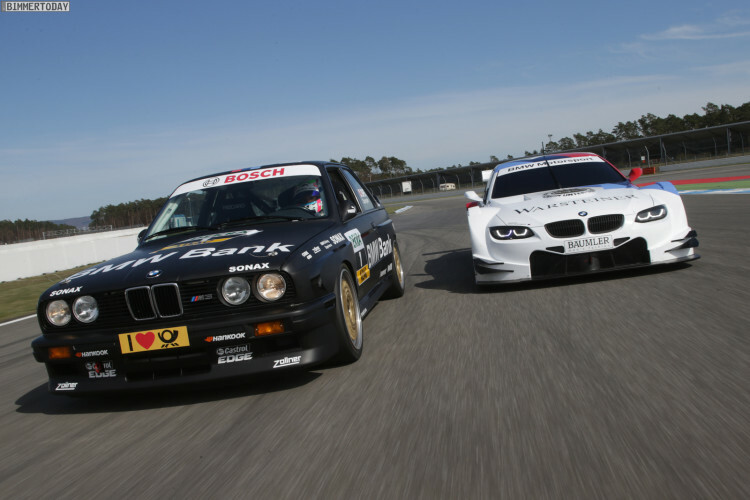 Spengler, meanwhile, drove the historic BMW M3 with the Frozen Black design of his BMW Bank M3 DTM. And so, after a few warm-up laps, the duo began its unique race. Spengler was given a head start of one second per year between the two DTM titles, amounting to a 23-second lead over Ravaglia in the new car. The race ended with Ravaglia overtaking Spengler in the Sachs corner. Just as he did in his last DTM outing in Hockenheim in 1992, the Italian crossed the finish line first. Speaking afterwards, the two champions embraced the role reversal. “The first time I saw the 1989 BMW M3 in my design, with my name and the start number 1, it was an amazing feeling. Because the BMW M3 from back then is so light, it is almost like driving a go-kart. I had great fun – until Roberto passed me in the Sachs corner,” said Spengler with a grin.